Riding off into the sunset... to certain death. •Okay, first thing's first. Kong is not a gorilla. He walks upright, like man. So this makes him more a primate than an ape. A primate that looks very much like a gorilla. •Toby Kebbel dies. The actor I like more than the actual lead star Tom Hiddleston doesn't make it to the end. Why, oh why? Wait, I don't actually know who the lead star is. If it's the one that gets top billing, then it's Hiddleston. But if it's the one with the most screen time, I think it's Samuel L. Jackson. Or Kong. •I'm not sure if the Richard Nixon bobblehead doll on the helicopter dashboard is an anachronism. Although bobblehead dolls did indeed exist during this period, my research has revealed that early bobblehead dolls had generic faces, with very few specifically recognisable heads, and I don't think Nixon was that popular to warrant his own line of mass-produced bobbleheads. •The curly-haired Latino scientist–the one who expressed his desire to just stay on the boat–got killed by being snatched from the boat by some flying creature. His death reminded me very much of the accountant's in Jurassic Park. •Samuel L. Jackson says one of my favourite Samuel L. Jackson lines ever: "Hold on to your butts." This line was, again, from Jurassic Park. 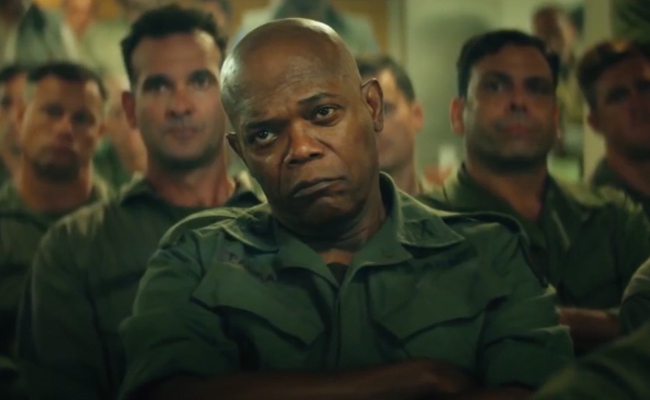 •Samuel L. Jackson has no redemption. He died a true villain. He didn't even let Kong live. Not even when they had eye contact while Kong was down, when "the big one" was making its way to them. Damn you, Mr. Jackson. •This film, by the way, is set during the tail-end of the Vietnam War, in case you didn't get the Apocalypse Now vibe this movie seems to be giving off. •Tom Hiddleston looks great in rugged themes. Yes, he looks great as Loki, but the rugged, unshaven look suits him better. Like how he looked like in The Night Manager. But seriously, what happened to his badassery? The first time we see him, he beats up guys at the pool table, and even breaks a cue stick on his knee. He never followed through on that badassery. 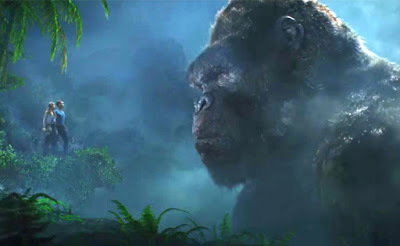 •Kong is huge. Like extremely huge. This is probably the biggest incarnation of Kong on the big screen ever. So it makes sense to see this film on the biggest screen known to man: IMAX. In fact, despite not being shot in IMAX nor in 3D, it seems IMAX 3D is the best format to see this film in. •This film utilises great CGI. However, the creature designs, not so great. Those skull crawlers? Terrible. I mean, what're they supposed to be? Half-evolved lizard snakes? Ugh. •And now we go to the end credits scene. So what is their mission now? Is this going to be like a monster cinematic universe? Apparently, it seems like they're serious about the idea. 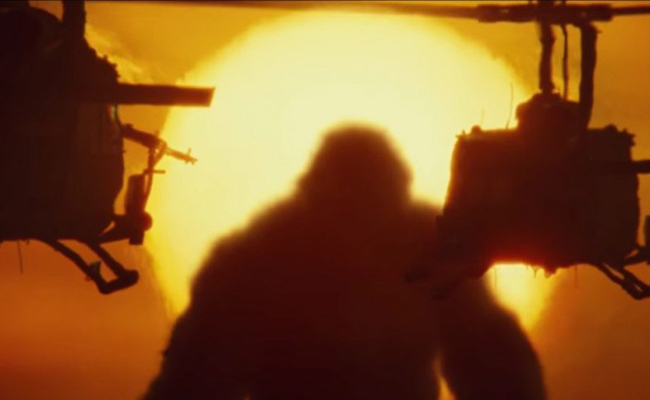 Kong: Skull Island. USA. 2017.